This science centre and museum holds the local history of Prince George, including its own archive and various historic photograph collections. A group that meets to discuss successes and failures while researching genealogies. Information on the events and collections of the railway and forestry museum. Search the Prince George Cemetery plots by name or year. Describes the mandate and collection of the Northern BC Archives which provides public access to archival materials of value related to the history and culture of Northern British Columbia. Free digital & searchable access to Prince George's newspapers from 1909 to 2017 including the PG Citizen. 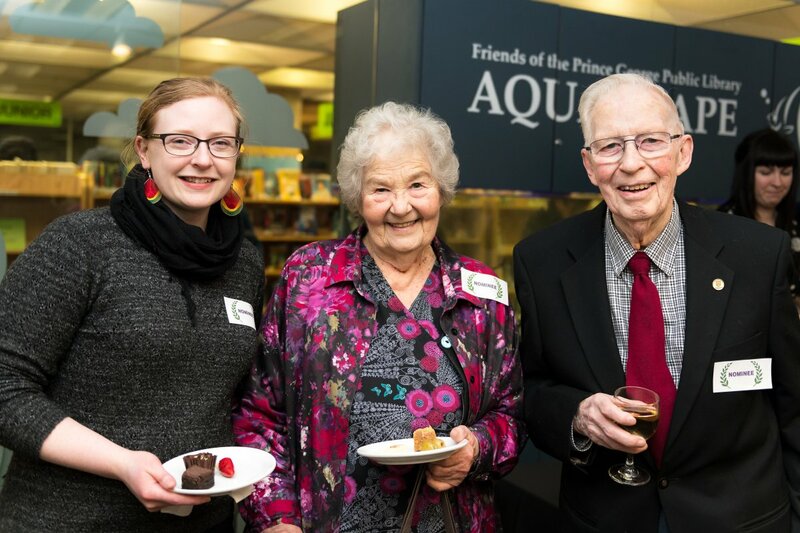 The Jeanne Clarke Award is presented annually by the Prince George Public Library to individuals or groups for outstanding contributions in the preservation and promotion of local history in the categories of Publication and Service. For more information on the guidelines for the Jeanne Clarke Award, download the 2019 Jeanne Clarke Award Nomination form. The award is presented in February of each year during Heritage Week. The Downtown Walking Tour departs from the Bob Harkins Branch of the Prince George Public Library every Tuesday and Thursday at 11:00 am, from July 5th until August 25th. The tour takes approximately one hour to complete. Contact the Prince George Public Library at 250-563-9251 for more information on the guided walking tours or to book a private walking tour or indoor seated tour for your group of five or more. All tours are absolutely free. During the rest of the year please check out our virtual tour.